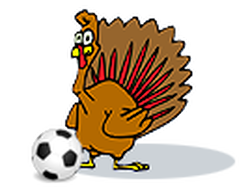 The Thanksgiving Shootout is a tournament that is held for teams looking for indoor competition during the week of Thanksgiving. Please see the rules and tournament specifics below. Please use our online registration form for your convenience.